Cleanse, rejuvenate… Enjoy life! 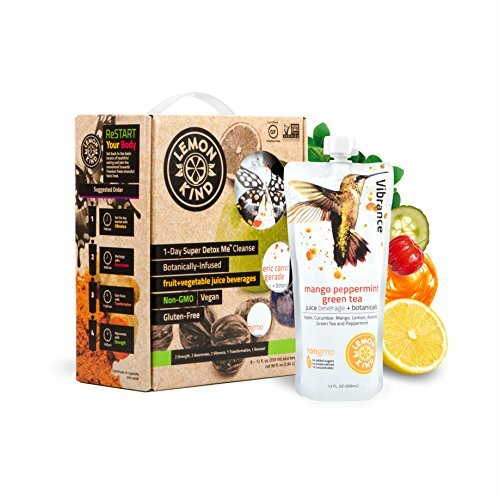 Detoxify your body with the world’s most sophisticated 7 day detox and cleansing system! Just like our detox drinks, our Premium Detox 7 Day Complete Cleansing System offers the same desirable results and a full body detox. 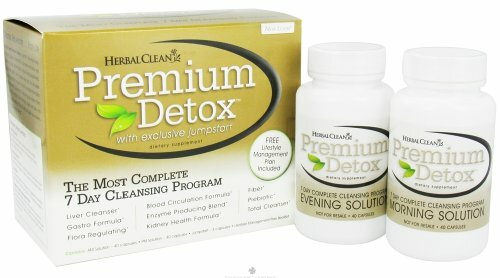 Premium Detox is Herbal Clean’s most powerful detox cleansing system. This 7 day detox and cleansing program is designed to enhance your health and wellness through a comprehensive detoxification plan consisting of natural herbs/supplements, proper nutrition and moderate exercise. 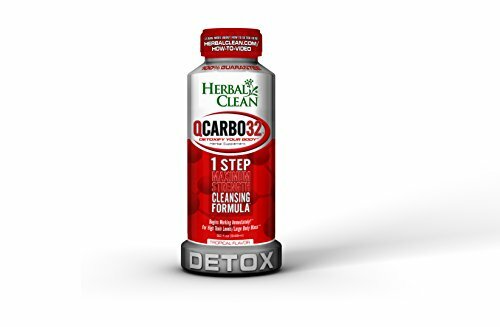 Premium Detox is formulated with Herbal Clean’s proprietary herbal detox formulation that aids the body’s natural detoxifying processes in flushing out toxins from your system. With every Premium Detox 7 Day Complete Cleansing System you get a bottle of Daily Morning Solution, a bottle of Daily Evening Solution, Jumpstart capsules and a Healthy Lifestyle Management Plan booklet to serve as your guide to a successful cleanse. This 7 day cleanse method is for individuals who have more time to detox and can stay away from unnecessary toxins during the cleansing period. Liver failure gives rise to multiple metabolic abnormalities and results in a sluggish system. 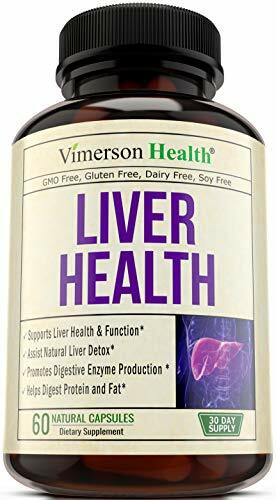 The Biliherb formula in this program works by stimulating the production of bile by the liver, thereby enhancing digestion and promoting metabolic balance. 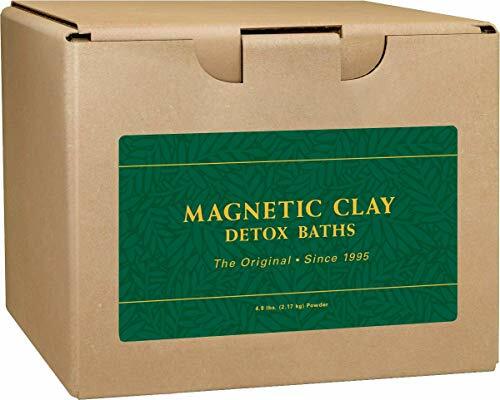 LL Magnetic Clay Natural Detox Clay Bath: Pure Clay for those with Allergies or Sensitive Skin Restore essential minerals and rejuvenate your body with Ancient Minerals Natural Clay, a general detox clay with no spices, herbs, or other additives. Natural Detox Clay flushes away the daily toxins your body is exposed to, like plastic phthalates, pesticides, dry cleaning chemicals and preservatives. Can be used in the tub, foot bath, or spread on the skin as a masque to increase cellular magnesium levels and encourage healthy skin tissue. Each 5 lb. Natural Detox Clay Kit will administer 10 one-cup baths per kit. Made in the USA. Natural: This formula is our only LL's Magnetic Clay Bath that is free of all herbs and spices. Just pure, LL's Magnetic Clay. For those who are exceptionally sensitive or have allergies to any of the herbs listed in our ingredients, this is the bath kit for you. Important Note: These statements have not been evaluated by the Food and Drug Administration. These products are not intended to diagnose, treat, cure, or mitigate any disease. If you are pregnant, suffering from any medical condition, or are taking medication, please consult a healthcare pratcitioner before use. Sonne'S 1X 32 Oz Detoxificant. Our Detoxificant Is A Natural And Powerful Detoxicant Derived From Bentonite, A Mineral-Rich Volcanic Clay. For Centuries, Native Tribes Around The World Have Recognized And Benefited From The Healing Properties Of Bentonite Clay.: . 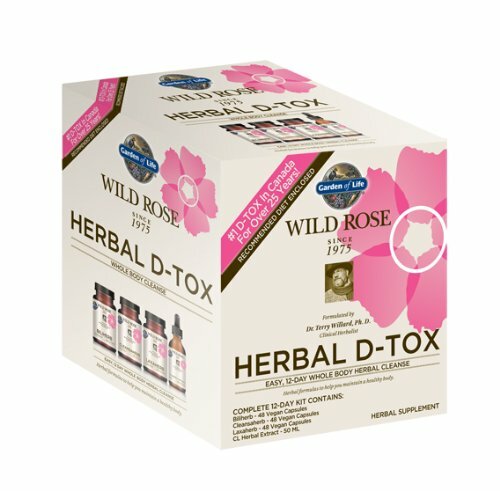 Looking for more Herbal Detox Kit similar ideas? Try to explore these searches: Arched Window Rod, Patch Mini Button, and Entwined Hearts. Look at latest related video about Herbal Detox Kit. Shopwizion.com is the smartest way for online shopping: compare prices of leading online shops for best deals around the web. 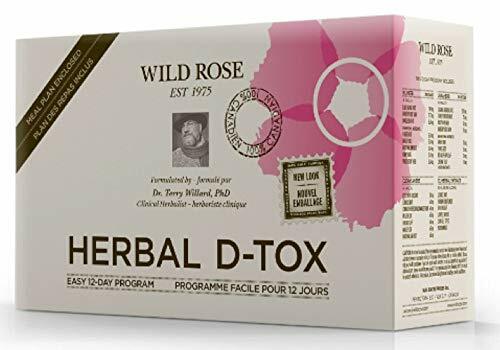 Don't miss TOP Herbal Detox Kit deals, updated daily.